Want to get a behind-the-scenes look at Radio City Music Hall's beautiful art deco interiors? From visiting the private apartment of Samuel Lionel "Roxy" Rothafel to getting to talk to a Rockette, this tour offers a great chance to see this gorgeous building up-close and learn about its rich history. Since opening in 1932, Radio City Music Hall has been well known for its beautiful art deco architecture, and the 'Stage Door Tour' offers visitors a chance to explore this beautiful building accompanied by a knowledgeable, enthusiastic tour guide. Fully renovated in 1999, the Radio City Music Hall was restored to its original glory from floor to ceiling, with new carpeting featuring the original designs to restored gold leaf ceilings. Our tour guide was charming and energetic, sharing with our group the design ideas behind various aspects of the Music Hall. He led us through the Great Stage and the lobbies, to see the hydraulic elevators first-hand, the private apartment of Samuel Lionel "Roxy" Rothafel, and finally to meet a Rockette in person (yes, there is a chance to have your photo taken with the Rockette). We even headed into the women's lounge to see the detailed murals. 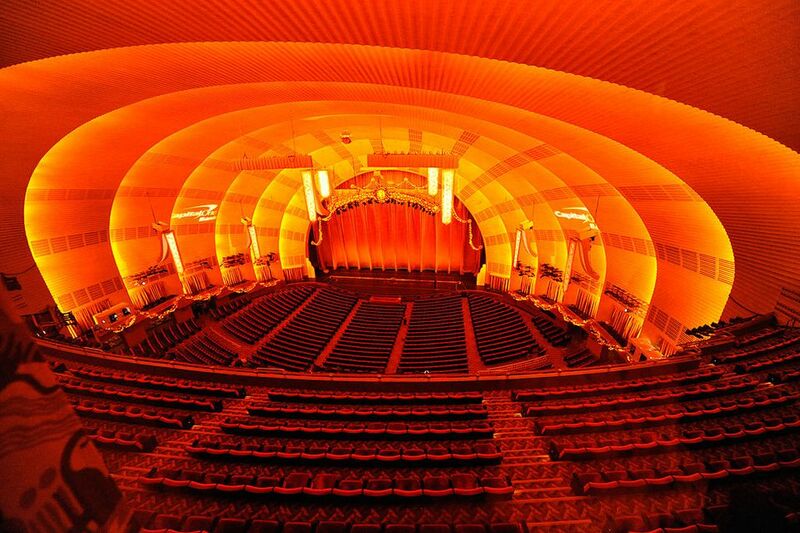 Unlike some other venue tours, the 'Stage Door Tour' of Radio City Music Hall offered access that would be impossible if we had simply purchased tickets to see a performance at Radio City, making it worthwhile for visitors who appreciate art deco architecture and design. The tour lasts approximately an hour and is offered from 11 a.m. - 3 p.m. 7 days a week. Purchase same day tickets at the Radio City Avenue Store adjacent to the Music Hall. 95% of the tour is accessible by wheelchair and they have wheelchairs they can loan to patrons.